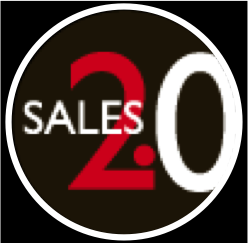 The recent Sales 2.0 Conference in London seemed to me to be a great success. The auditorium was full for the opening address, the speakers were insightful and the audience was engaged and lively. I was able to make a modest contribution to the days proceedings by sharing some of the lessons I’ve learned over the past 12 months about aligning the B2B marketing, selling and buying processes. You’ve got to wonder, haven’t you, whether these issues could perhaps be related? You can download my full presentation here, but in this article I'd like to share the 7 prescriptions I offered to the audience to help them break away from this cycle of wasted effort and under-performance. …but, as I pointed out, traditional demographic segmentation simply isn’t enough: you’ve got to identify the structural, behavioural and situational criteria that define your most valuable opportunities, market to them, and qualify against them. You can download a useful guide to get you started here. …and it’s not just their role in the company or in the decision-making process: you’ve got to identify and understand their likely issues, motivations and concerns, their personal priorities, and the external information sources that influence their thinking. 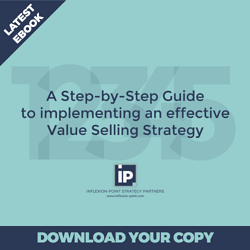 …and more than that, the milestones that separate each stage must be based upon clearly observable evidence of a step forward in your prospect’s buying decision process, include a measurement of velocity, and every “opportunity” must be regularly requalified. …but beyond that, if you can’t clearly define what stage of the buying journey a piece of content is intended to influence, and what outcome you are seeking to achieve, then you shouldn’t be producing that piece of content at all. Don’t waste your time. …in fact, if you’re supporting a complex B2B buying process that involves dialogue that stretches over an extended period of time, every piece of content ought to be accompanied by a series of talking points that can give direction to the subsequent sales conversation. 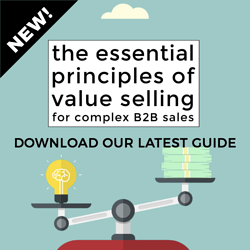 …every complex sales throws up a series of tough-to-answer questions, whether they be objections or requests for clarification. You simply can’t afford to have your sales people re-invent the wheel every time. Pool and share the best answers! So there you have it 7 simple prescriptions. Simple to agree with, harder to implement, unless you have two things on your side: a clear, mutually agreed, buyer-aligned sales-and-marketing plan, and a buyer-aligned sales and marketing playbook. I’d be happy to share what we’ve learned about accomplishing both if you’d like to drop me a line.